Ergonomic Carrier, Baby Size, twill weave 100% cotton - wrap conversion from DAY AND NIGHT - Second Generation. 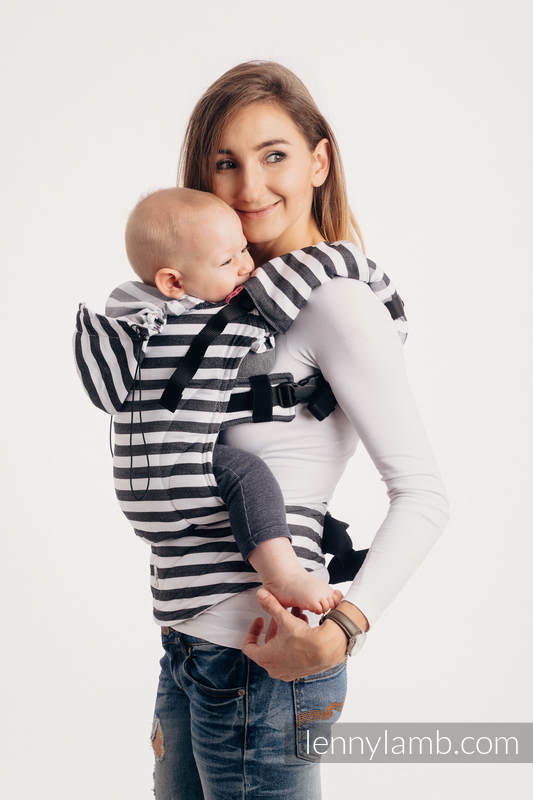 LennyLamb Ergonomic Carrier is a type of a structured carrier for which we have designed a special system of the straps and buckles so as to provide you with a carrier which assures perfect fit. 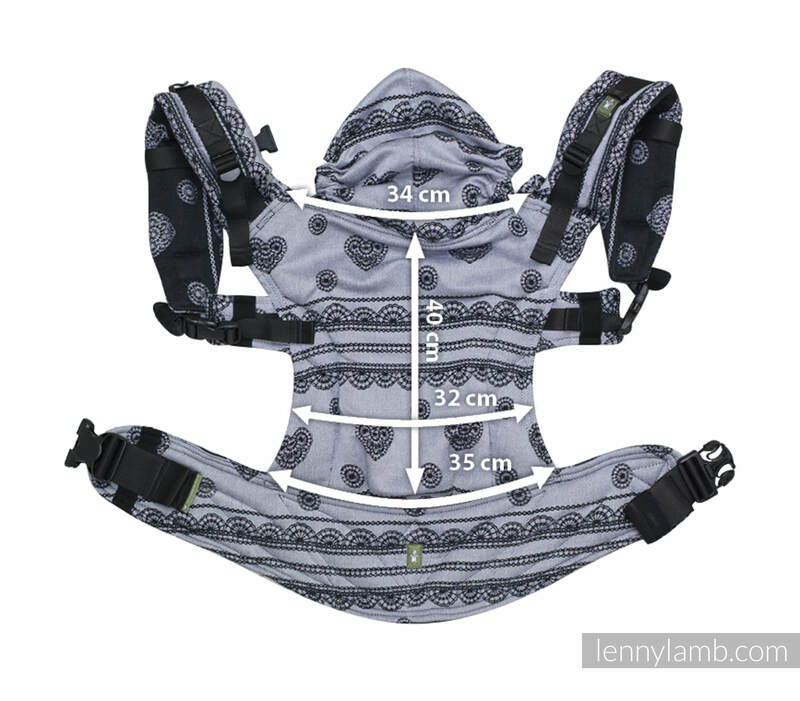 The LennyLamb Ergonomic Carrier has been acknowledged as a "hip healthy" product by the International Hip Dysplasia Institute. IMPORTANT INFORMATION: Waist Bag, Drool Pads and Reach Straps are NOT included. Actual colors and pattern placement may vary from pictures.The difference in color display may be due to different monitor settings.